Ross Design Group has been recognized for its outstanding design talents with numerous awards, such as the Street of Dreams Best of Show, the Southeast Building Conference's prestigious Aurora Awards, and the American Institute of Building Design (AIBD) & Garlinghouse Design Competition. 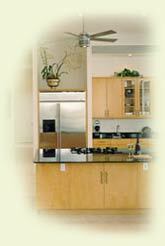 We have helped building contractors achieve several Parade of Homes award winners since 1998. Our most recent design, "Torre dal Verde" can be seen in Orlando's newest community, Baldwin Park. Ross Design Group also plays an active role in the community. We were chosen to design the 1997 Health House benefiting the American Lung Association of Central Florida, homes for Habitat for Humanity, and The House of Hope. Please use the images above to visit any of our showcase homes.